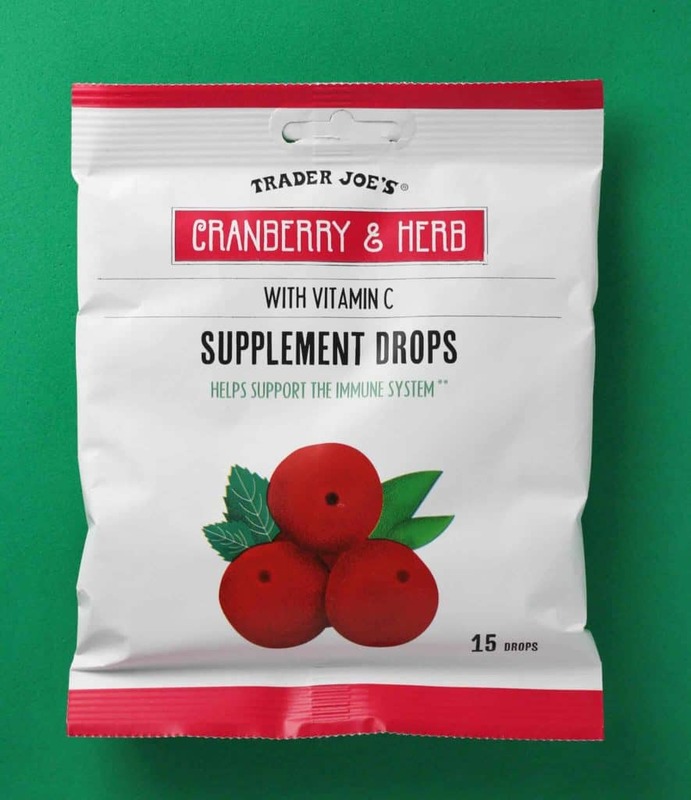 The pros: Trader Joe’s Cranberry and Herb Supplement Drops are flavorful drops that provide a good amount of vitamin C.
The cons: Packaging is very close to Trader Joe’s Honey Lemon Cough drops. 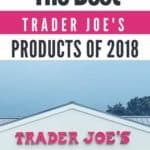 These are very different products. 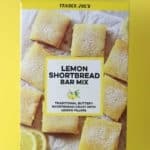 The verdict: So, I totally picked these up thinking they were the same as Trader Joe’s Lemon Honey Cough Drops. 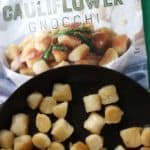 The packaging is very similar, but they are very clearly labeled what they are. But c’mon, they were right next to each other anyone can make that mistake right? 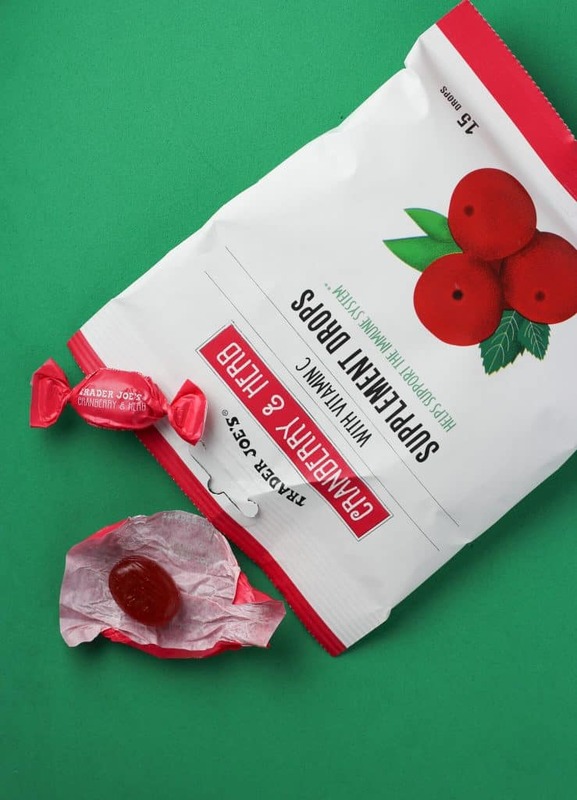 Anyways, beyond my non-reading of the front of the package where this is very clearly labeled that this is a supplement drop and not a cough drop. No matter though. You see, this time of year where so many people are sick, I don’t reach for hand sanitizer or anything like that. If I take anything, then I will reach for Airborne. Dietary supplements aren’t as regulated as conventional food or drug products so the information presented on the back looks a bit different. 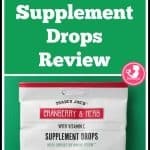 As a supplement, cranberry is used for a variety of purposes according to Livestrong including general wellness, detox, and urinary tract health. For me, I don’t mind the added dose of vitamin C. But some flavors of my Airborne taste better than others. This dose of vitamin C was quite pleasant. While the taste of cranberry can be too tart for some, it was pleasantly sweet here. But don’t confuse these with being just cranberry. Nope, there is a mint and menthol flavor here. Now, the menthol is cooling without being numbing like the Lemon Honey Drops. 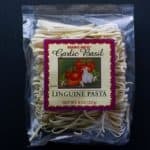 For $0.99 these aren’t bad if you need a jolt of vitamin C or cranberry. I liked them as an occasional supplement. At under $1 they weren’t going to break the bank either. This is a small bag at 15 drops, but for under $1 they were pretty good. Would I buy this again? 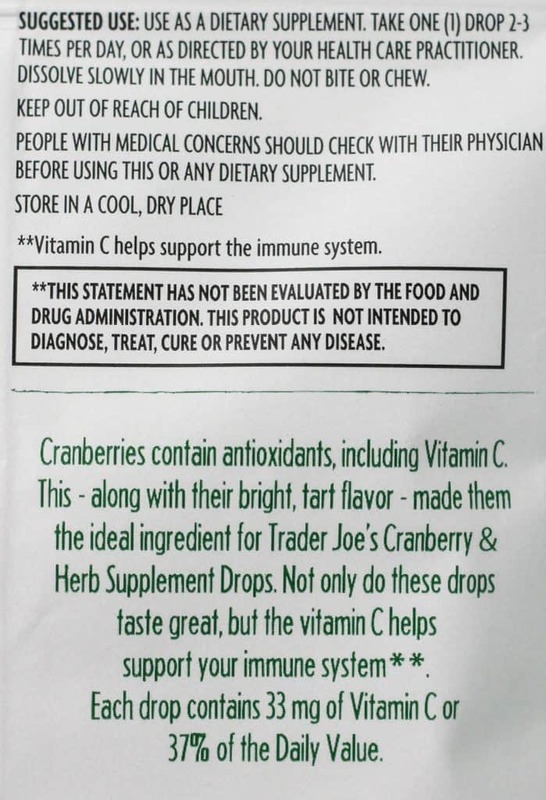 Yes, I would buy Trader Joe’s Cranberry and Herb Supplement Drops again. They were good tasting supplements that are also relatively inexpensive.